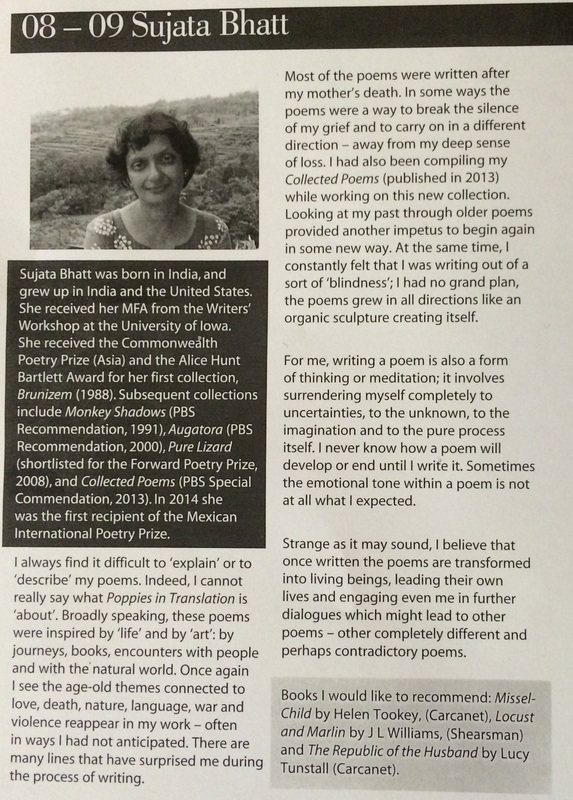 Sujata Bhatt is an amazing person, a shining light and a magnificent poet. She is also very kind to have recommended Locust and Marlin alongside some other excellent books in the recent Poetry Book Society Bulletin, along with a very lovely piece on her own fabulous new book. Thank you Sujata!